With digital advertising set to pass the $77 billion mark next year and surpassing TV advertising spend for the first time, there has never been a better time to get your company a video presence online. With a new suite of tools to help small businesses set themselves up, YouTube is the platform to get started on. Whilst there are other video platforms out there like Vimeo, Vine and Instagram, with a billion users per month, it would be folly not to focus on YouTube. But where do you start when it comes to creating and then honing your YouTube presence? A sensible approach would be setting up your YouTube channel. Whilst your videos will hopefully get discovered through search, it’s here you ultimately want people interested in your brand to end up. In this way think of your YouTube channel like a second website. In this guide I want to examine three fundamental elements to creating an effective YouTube channel. Let’s begin with search engine optimisation. Anyone can upload a video on YouTube, but for your videos (and therefore your channel) to get discovered by interested viewers you need to think carefully about how you optimise your videos for search. Like all good SEO content, it all comes down to keyword research. The Google Keyword Planner is the perfect tool for this but so too is looking at your competition and trying to understand exactly what it is your intended viewership is interested in. It’s a bit of a chicken and egg situation, when it comes to video keyword research and concept creation. You really should have an understanding of keyword popularity before you start devoting budget towards video planning and production. In this respect keyword research for SEO should fall under your wider market research strategy and understanding who your audience are and what content they like to watch and search for. Title: A strong title is essential for search engine ranking and to accurately inform users what to expect. Ideally, the keyword(s) you choose will rank on Google’s first page. Description: Put simply, the more information YouTube has, the more accurately it can rank your video. Descriptions should be at least 200 words in length, contain your keywords throughout and actually entice YouTubers to click on your video. Tags: Try and add 10-20 individual keywords or phrases as tags. They may not naturally fit in your description as tags but you should predict keywords user may search for. But beware, if you try and ‘game’ the metadata YouTube will remove your video. Metadata: YouTube defines metadata as information that adds “contextual information to your videos to help them be discovered by the right audience.” It’s important to tick this box to aid discovery and help YouTube rank your content. However great your SEO, if your YouTube channel isn’t fresh, relevant and updated regularly then it will be unlikely to attract subscribers, languishing unloved and unseen in a dark corner of a YouTube server. This will not do. You can start to get an idea of the power of the YouTube channel. Think of it like a Facebook page. People might occasionally see your posts but ultimately you want them to follow you and see all your posts as and when you post them. But even with killer content, your YouTube channel will flop if you don’t pay some thought to the way it’s structured and connects with users. Let’s look at some key dos and don’ts. Think carefully about your brand and your end user by using clickable thumbnails that make the video look unmissable. Always add a customised background to help build and reinforce your brand identity. Constantly update your YouTube channel with new and exciting content to keep users coming back for more. Create content groups and playlists with keyword-rich, keyword-linked descriptions that showcase your best content. Encourage subscription, liking and commentary in your videos but also on your channel. User experience signals are used by YouTube to identify popular content and boost it in the search rankings so the more interactions you’re your content you can encourage the better. Showcase your most viewed video at the expense of other content you may wish to promote. Your aim is always to target your most relevant content to identified users (no matter how many views that advertising campaign you did 2 years ago got). Mix corporate and consumer content and expect users to tell the difference. Separating this content out and making it obvious is a must. That ‘how to’ video should not sit alongside your advertising. Keep your various YouTube content segmented and well-ordered and in relevant playlists. One way to do this is to segment your YouTube content into help, hub and hero videos. 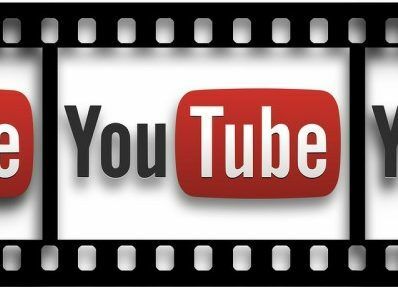 Expect YouTube to drive users to your website. With a click through rate of around 1% it’s better to view your YouTube channel as a stand-alone destination to help you build brand awareness. There are a number of ways to measure the success of your YouTube marketing and getting your head around YouTube’s own analytics and reporting API is a good place to start. Remember we’re not measuring success by website traffic here. Brand awareness shouldn’t just come down to views either. What you want is engagement which will be reflected in the number of subscribers to your channel, as well as commentary and content sharing. Subscribers: How many new subscribers are you getting? Has this jumped up after the release of a specific piece of content? If so can you replicate this and tap into this audience? Audience demographics: are you reaching your target audience? Audience engagement: analysing when users stop watching your content is a vital insight into strengthening your content creation. Ultimately YouTube is a social platform and encouraging interactions with your brand will not only help your SEO, it will also help build your subscriber base. Hopefully I’ve demonstrated the importance of getting your YouTube channel up to scratch. With 46,000 years of video content watched daily by YouTube users globally around the world, the question isn’t why should you have a YouTube channel? It’s why wouldn’t you? Evelyn Timson is Managing Director at UK based video content agency Aspect Film and Video and has worked with well known national and international brands like Coca Cola, Samsung, Microsoft, the British Library and the National Trust. You can connect with Aspect via Facebook or Twitter. To see a selection of their award winning work check out their YouTube Channel. How has Instagram evolved to be the best and most… Instagram is all about staying visible. So make sure you have class, flair and enough panache to get noticed in the clutter. Is it Time to Shake-up Your Digital Marketing Strategy? Is it time to change your digital marketing strategy? The latest strategic moves taken by the world’s biggest brand can help shape your future strategy.